Founded in january 2003 by Chezi Nofarber, and Hadad Yossi. 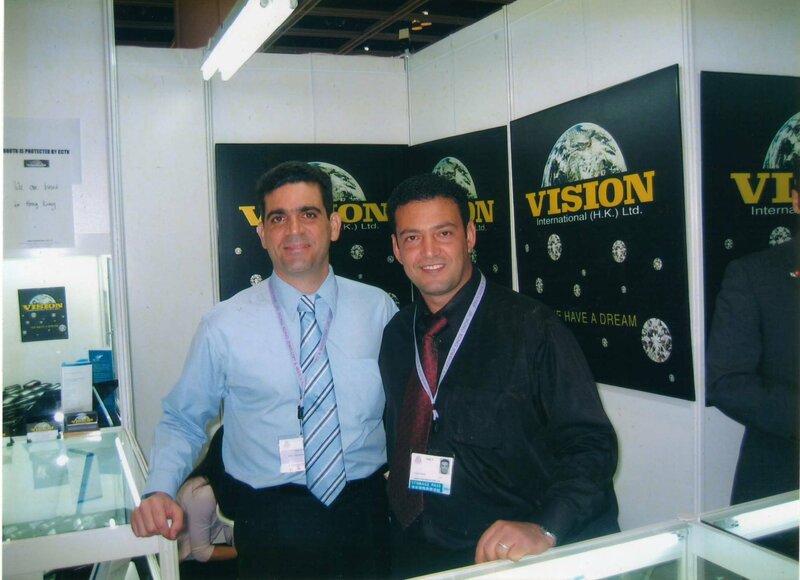 Vision International is a wholesaler of loose diamonds and jewelry. Currently operating in Israel and Hong Kong. You'll find an incrediable broad selection of colors, raning from N up to D, in clarity SI up to IF, in shape all from Round uptop Fancy Cut and sizes from 0.50Ct up to 20Ct. The quality of out merchandise is unquestionable! Over 90% of our inventory are GIA, HRD, IGI, EGL and IGL certified and we guarntee you'll find exactly what you're looking for. We are dedicated to providing our quality merchandie with a level of service that is incomparable in the industry. In order to ensure your complete satisfaction, we provide you with a broad and attentive service before, during and after your purchas. We are always available for any questions you may have and we encourage your feedback, as it helps us help you better.